Lofty basketball records from 1961-62 are in peril. That season, Oscar Robertson averaged a triple-double in the NBA, a feat that no one has come to close to matching — until now. Superstar Russell Westbrook is on track to do the same. The 1961-62 season also saw the Arkansas Razorbacks shoot 76.6% from the free throw line. No Hogs team has come as close to matching that mark as this season’s. Arkansas shoots 75.9% from the charity line, the program’s best mark since ‘62. 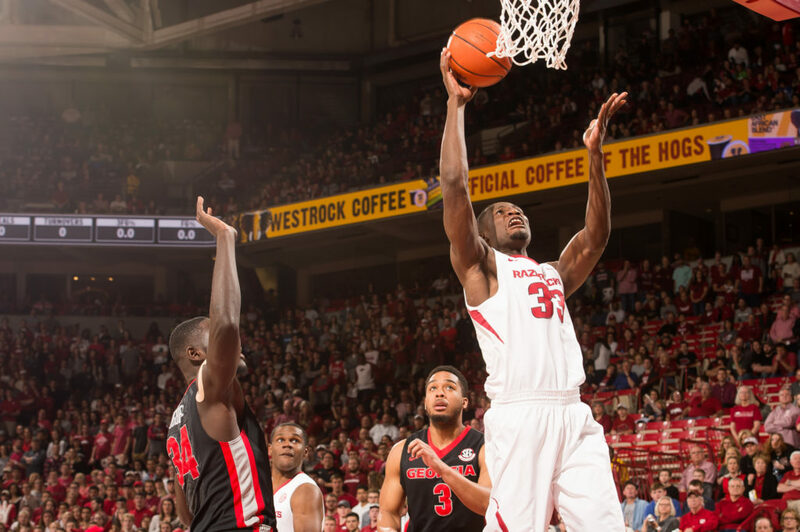 Such accuracy helped fuel the Hogs to 6-1 regular season finish and for all practical purposes lock up an NCAA Tournament bid. 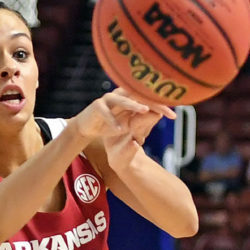 Now, much of Razorback Nation’s attention turns to the SEC Tournament, where No. 3 seed Arkansas will play its first game in the quarterfinal round on Friday. With up to three extra wins to potentially add to their current 23-8 record, these Hogs could pad their seeding for March Madness. 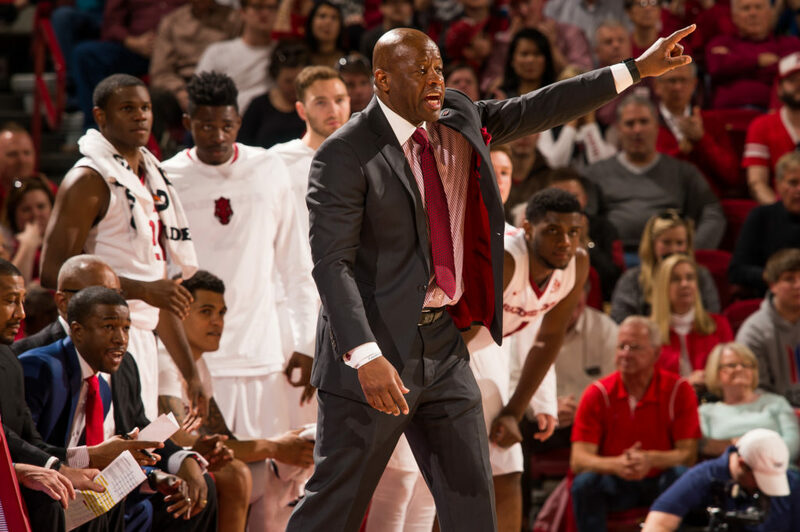 Before getting caught up in postseason fever, though, let’s take stock of what the team has already accomplished under head coach Mike Anderson. Just seven games ago, droves of Hog fans were calling for Anderson’s head after back-to-back losses to Missouri and Vanderbilt. 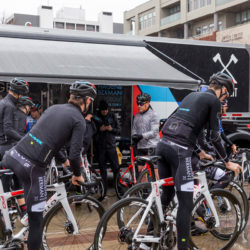 It’s easy to lose sight of the big picture when fans’ feelings for the program seems to so often lurch from valleys to peaks. So here’s the bigger picture: Mike Anderson’s most recent teams are in total the best coming out of the program in two decades. The 2014-15, 2015-16 and 2016-17 teams have produced the best three-year winning percentage since the mid 1990s, when Anderson served as an assistant under Nolan Richardson and helped lead Arkansas to a national champion runner-up finish and Sweet 16 appearance. 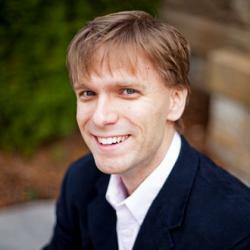 Many older Razorback fans love nothing better than to wax nostalgic for what now seems like the long-lost glory years of the early to mid-1990s. No doubt, younger fans never directly experiencing those “40 Minutes of Hell” highs tire of the ceaseless history sharing without experiencing any new glory year memories of their own. 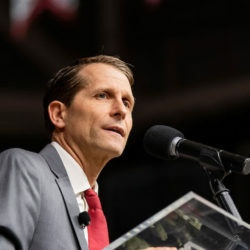 In a way, Mike Anderson’s Razorback teams represent the best possible hope for the older fans to truly share with younger fans the searing passion and excitement of a bygone era. Through his enduring friendship to Richardson and his “Fastest 40” twist on “40 Minutes of Hell”, Anderson embodies the ability for many Hog fans to embrace all the good memories of the Richardson era without much of the pain from the ugly way it ended. 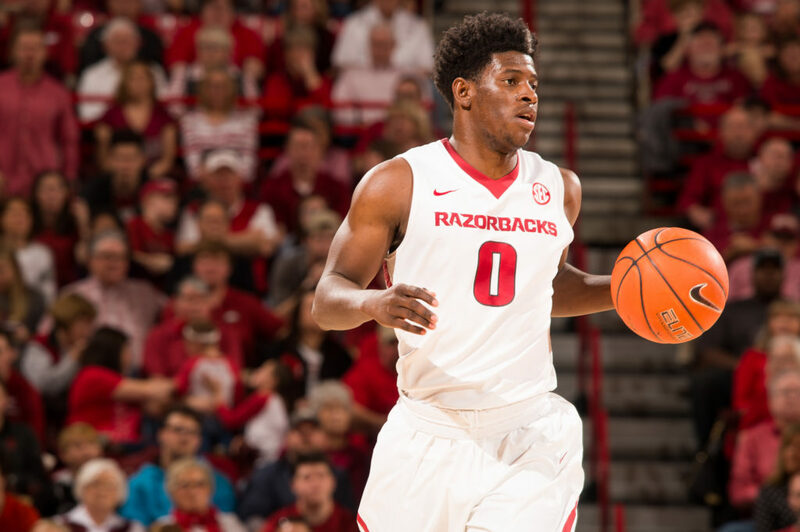 On the offensive side of the ball, the Hogs of 2014-15 and 2016-17 have in many ways equaled the offensive potency of Richardson’s best teams. These modern teams have fallen short, however, on the defensive side. 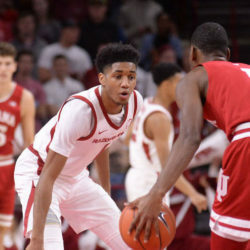 Interestingly, though, Mike Anderson has found great success in this most recent seven-game surge by deemphasizing the more Richardson-associated pressing, man-to-man defense and ramping up the half-court zone. 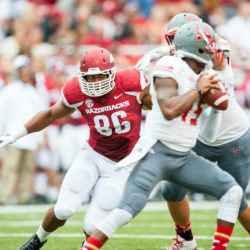 By changing his defensive style to a degree not seen before during his Arkansas tenure, Anderson has found a way to match his mentor in terms of regular season success. Of course, all these shiny regular season numbers mean little without corresponding postseason success. For now, it seems like it’s enough just to make the NCAA Tournament. It’s been so long since this was an annual event for Arkansas it’s understandable if fans get far more pumped about earning a berth now than they were in the mid-1990s. Twenty years ago, it would have been baffling to see the likes of Kareem Reid or Pat Bradley — stars on those ‘96 and ‘97 teams — do the same. Those players assumed not only would they make the NCAA Tournament, but they would do damage once there. Their 1995-96 team entered the SEC Tournament with a 17-11 record, but it’s the Sweet 16 appearance that came two weeks later which fans still talk about to this day.